The combination of Essence Drain and Contagion has been strong for a long time. Contagion is an AoE skill that applies a DoT when an enemy is hit by your Essence Drain and dies, which causes Contagion to spread both itself and Essence Drain to nearby enemies. This allows for a very satisfying and efficient way to clear packs of monsters. Essence Drain is also a great single-target damage output skill, one of the strongest when it comes to Damage-Over-Time Chaos skills. 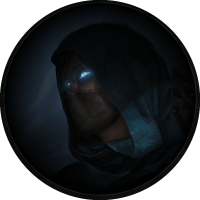 The Occultist ascendancy class has great perks when it comes to building around Chaos skills and provides a lot of defensive power for every Energy-Shield-oriented character. It also makes going Low Life very easy compared to other ascendancy classes; going Low Life can improve your damage by a great deal in this particular case. The Essence Drain & Contagion Occultist does not require any initial investment in order to start. When it comes to endgame, there are some expensive items you can save up currency for. Shavronne's Wrappings will allow you to transition into Low Life. Presence of Chayula will help out a lot with the Chaos Resistance and the additional Energy Shield, but is not mandatory since you are immune to Stun via the Occultist ascendancy anyway. Decently rolled Energy Shield gear can also be pricey. Offensively, your main goal when clearing is to apply Contagion to enemies and then hit one of them with Essence Drain. This will allow your Essence Drain to affect all enemies and basically degenerate their life in a second. Against single targets you do not have to use Contagion at all, instead you can have a Vaal Blight you can use in your spare time. Defensively, even though you can take a lot of damage in a short amount of time, it is a good idea to keep your distance. Both your main skills have good range and you only need to be near enemies when casting Blight. Occultist’s Wicked Ward and Vile Bastion will prove to be very powerful defensive mechanics over the course of your character’s lifetime. For playstyle, apply Contagion and then Essence Drain when clearing. For single target, make sure you have good Essence Drain uptime on the monster; in the free time you have, use Vaal Blight and its normal version in order to augment your single target damage output even further. Vaal Discipline will allow you to tank immense amounts of damage in a short period of time. Wicked Ward provides a lot of flat Energy Shield and is a great way to sustain your Energy Shield pool. Vile Bastion provides stun immunity when you have Energy Shield, which is mandatory for every Energy Shield-based build. The additional way of sustaining your Energy Shield pool and the flat 150 amount is also a great addition. Void Beacon acts as a debuff aura to nearby enemies, reducing their Chaos resistance and stopping them from regenerating life. Withering Presence provides a great amount of damage boost, along with 60% Chaos resistance, which is very handy when going Low Life. This is the endgame Low Life passive skill tree. Going Low Life means you need some expensive items; if you cannot afford them, simply drop Arcane Vision and Pain Attunement and go for Chaos Inoculation instead. In the Act II quest Deal with the Bandits we choose to kill them all for the two additional passive skill tree points. Major: Soul of Solaris is very good when it comes to raw damage reductions. When this pantheon is fully upgraded it is best in slot for this particular build. Minor: Soul of Abberath is good in every Energy-Shield-based build for the immunity to burning ground. Essence Drain is your signature skill, which should ideally be used in a 6-Link. Contagion is used in order to spread your Essence Drain to nearby enemies for better clear speed; Contagion is essentially a utility skill. For mobility, use Flame Dash. Vaal Blight can be used for additional single target damage. Wither spell totems will increase enemies’ Chaos damage taken by a considerable amount. Vaal Discipline and Malevolence should be used for auras. Essence Drain is the bulk of your damage: the skill shoots a projectile that applies damage over time debuff on enemies it hits. We recommend one gem link that works great for both single target and clearing. Contagion will help you spread your Essence Drain damage over time effect. Flame Dash will give you the additional mobility you need in order to jump over certain terrain and dodge lethal game mechanics. It will also provide the Arcane Surge buff with every cast. Make sure your Arcane Surge Support gem is locked at low level. Vaal Blight can be used on a 4-Link in order to deal additional single target damage. Wither is a debuff that stacks up to 15 times and increases enemies’ Chaos damage taken by 6% per stack. This skill is cast by totems, with the following setup. Vaal Discipline and Malevolence are two of the best choices when it comes to auras. Arctic Armour or Curses on Blasphemy Support can also be implemented once you are Low Life. Phase Run will improve your mobility even further. Note: The minion damage also affects you via the passive skill tree node Spiritual Aid. Considering you mainly rely on running for mobility, Quicksilver flask is mandatory for the build; it should be rolled with additional movement speed. Quartz flask provides additional dodge chance and Phasing, which will allow you to run through monsters. Stibnite flask creates a smoke cloud, which blinds nearby enemies, it should be rolled with Bleeding immunity. Basalt flask provides 15% physical damage reduction, it should be rolled with Burning immunity. Sulphur flask has a great duration, this is why it should be rolled with Curse immunity. Witchfire Brew can be used for the great amount of damage over time it provides along with an aura of Despair. The build does not require any specific jewels in order to work. Spreading Rot will improve your Blight by a considerable amount. A Watcher's Eye with Malevolence or Discipline mods can be very beneficial, but very expensive. You should prioritize Regular jewels over Abyssal jewels. The Essence Drain & Contagion Occultist can be leveled with its signature skills since the beginning. Here is an example of the early passive skill tree, before you are ready to transition into Low Life / Chaos Inoculation. As you begin a new character, there are few unique items that can boost your power exponentially. Tabula Rasa allows you to have a 6-Linked skill as early as you get the gems. Wanderlust gives a decent movement speed, which will make your leveling that much more efficient. Goldrim provides a lot of elemental resistances, this will let you worry less about gearing when approaching certain Act encounters. At level 4, you should pick the Contagion gem. At level 10, you are able to add Flame Dash, which will help with your mobility. At level 12, you can start using your signature skill, Essence Drain. By level 16, your Essence Drain link should look like this. At level 24, you should add Malevolence or Discipline. By level 31, your Essence Drain gem setup should look like this. No regeneration is rough, but doable if you run a Mana flask. The Essence Drain & Contagion Occultist specializes in applying very powerful Chaos damage over time effects upon enemies. The build has decent clear speed and very good endgame potential when it comes to killing bosses. 10 Apr 2019 Build added.